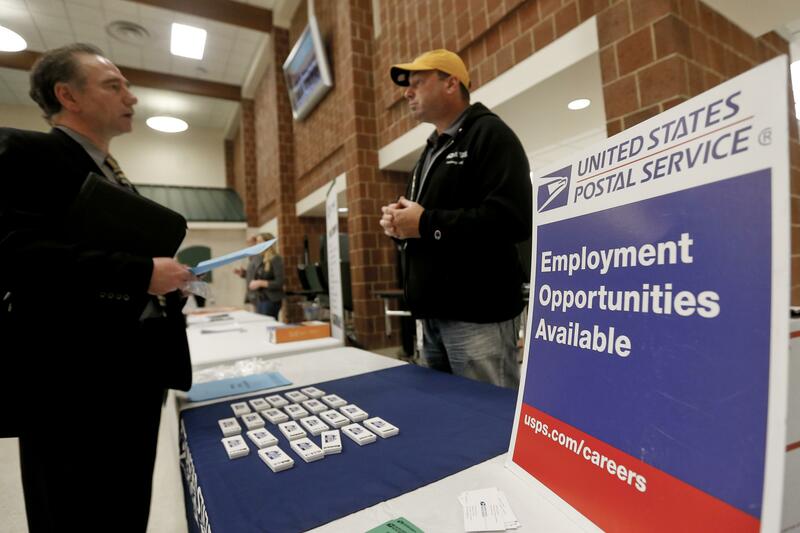 WASHINGTON – The number of Americans filing applications for unemployment benefits edged up slightly to a still-low 239,000 last week. Meanwhile, the four-week average fell to a fresh 44-year low, evidence that the job market remains healthy. THE NUMBERS: Applications for jobless aid rose by a seasonally adjusted 10,000 last week after having fallen by 5,000 the previous week, the Labor Department said Thursday. The four-week average, which smooths out week-to-week volatility, dropped to 231,250, a decline of 1,250 from the previous week. It was the lowest level for the four-week average since it stood at 227,750 on March 31, 1973. KEY DRIVERS: Applications for unemployment benefits are a proxy for layoffs. The level of unemployment benefits has been below 300,000 for more than two years, a stretch not equaled in more than four decades. The government reported last week that employers added 261,000 jobs last month, in part a rebound from two devastating hurricanes, as many businesses in Texas and Florida re-opened. The unemployment rate fell to 4.1 percent, nearly a 17- year low. The Labor Department said that claims taking procedures remain severely disrupted in the Virgin Islands, but the application process has improved in hurricane-ravaged Puerto Rico. THE TAKEAWAY: The weekly unemployment benefits report suggests that the economic recovery that began in the middle of 2009 is moving forward. The economy, as measured by the gross domestic product, grew at a 3 percent rate in the July-September quarter after a 3.1 percent pace in the second quarter, the first back-to-back gains of 3 percent or better in three years. Published: Nov. 9, 2017, 1:09 p.m.